Entrepreneurs are the new stars of the Indian business landscape. They have achieved cult status due to megabuck evaluations, innovative products, novel marketing techniques and the ability to take on International giants. The industry views with awe, their boldness in breaking traditional barriers and creating a new demand for their products and services. But for every one entrepreneur who rose to the top of the heap, there are hundreds lying at the bottom that could not complete the climb. The very decision for an individual to set upon the entrepreneurial path in itself is a bold step. Though successful entrepreneurs eventually end up making a lot of money but that is not the objective alone with which they chose this path. 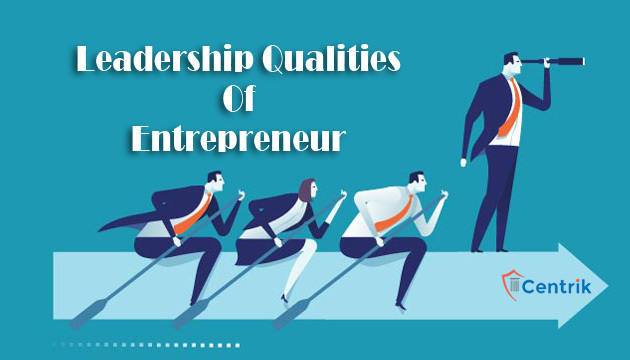 Right from that leap of faith into the unknown, till a successfully running business, there are quite a few qualities at work in such entrepreneurs which make them leaders of the pack. It’s an idea that ignites an entrepreneur’s passion. An idea may be a new technology, a new way of doing an old thing and a creative twist to revolutionise business models. When the idea is coupled with complete conviction, an overriding passion becomes the driving force. All successful entrepreneurs are defined by this lifelong passion for their idea or ideas which are so strong that they are able to convince their team, their investors and their customers to be a part of this passion. History is proof of how the passion of all great leaders was the biggest motivational force to mobilise support and unite the masses towards one objective. A true leader can visualise how their ideas can be brought to fruition right until the end. They have thought out the whole process in detail, debated with themselves over the pros and cons and anticipated the problems that they might come across. Such entrepreneurs can visualise in advance the path they want to take, what form their company will take and how their future will unfold right from conception to realisation. Entrepreneurs like the late Steve Jobs had this ability. He was able to set the trends for the future. His technological innovations made the brand ‘Apple,’ capture the imagination of the world. It is not that entrepreneurs set out to take risks but it is a part and parcel of their journey. It is an iron will that makes them persist in the face of opposition or failure. With an unwavering focus on the task at hand, a leader will accept the challenges and ultimately conquer it. It always pays for a leader to have a very high emotional quotient. A leader should be able to engage and invest in a team which can be trusted to take forward the vision. Successful leaders are able to listen well, respect others opinions, and can convince people to their own point of view. To be able to do this they have to possess exceptional communication skills. Entrepreneurs also need mentoring skills to train up their support team, value them and inspire them. Plus they should be able to network well with other contemporaries to keep an ear to the ground for new developments, acquire resources, and find potential partnerships. In the choppy waters of an entrepreneur’s journey, the ability to quickly adapt to changing circumstances is a very important survival skill. In the superfast technology highway of today, if the entrepreneur is not innovating they can be easily left behind. Though many entrepreneurs have inherent leadership qualities but to survive in a highly stressful, uncertain and competitive environment, they have to constantly hone their skills.